A centre of excellence providing the platform to support dynamic inter-disciplinary materials research, in collaboration with academia, research councils and industry professionals. 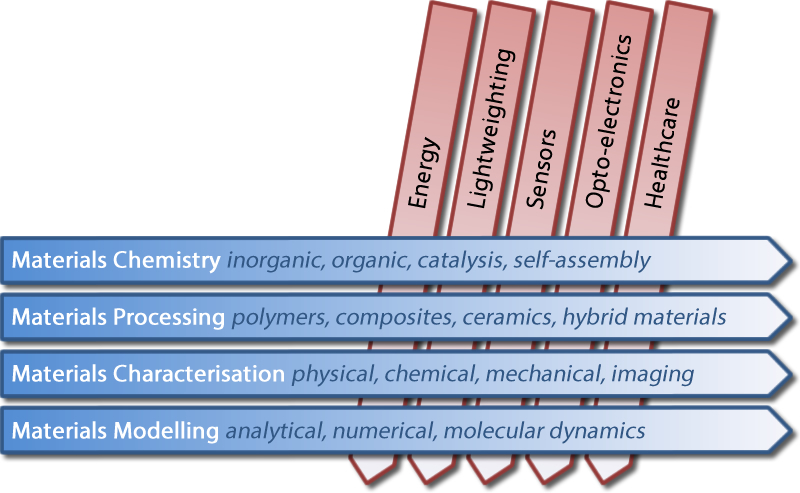 Queen Mary University of London has a strong tradition of materials-based research. The creation of the Materials Research Institute (MRI) brings together a range of expertise from within several Schools: Engineering and Materials, Physics and Astronomy, Biological and Chemical Sciences, and Dentistry to create a coherent interdisciplinary activity focused on five key research themes. From Waste to Wealth: From Kraft Lignin to Free-standing Supercapacitors. Carbon vol. 145, 470-480. Hard carbon derived from rice husk as low cost negative electrodes in Na-ion batteries. Journal of Energy Chemistry 17-22.